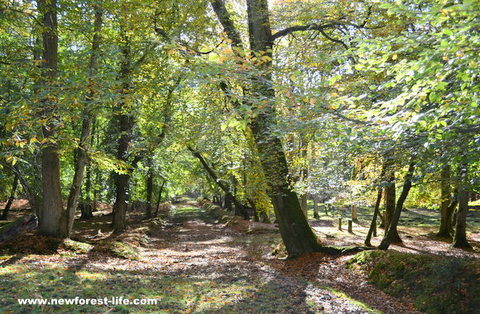 New Forest Autumn. 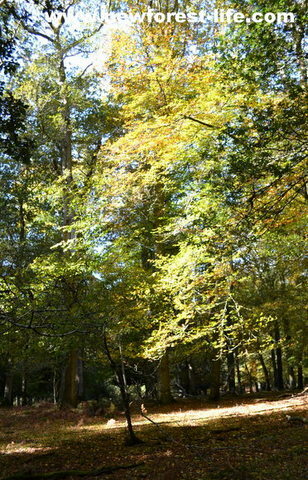 Stunning colours and beautiful woodlands. 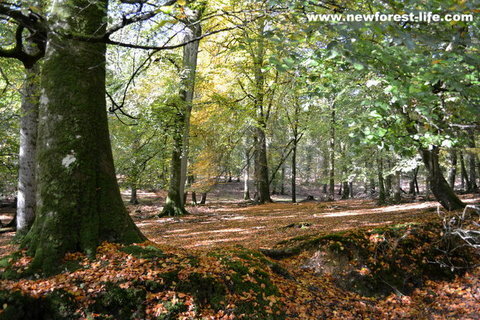 The New Forest Autumn beauty is upon us. It always promises to be spectacular and never disappoints. As I'm out and about I'll share the colours and scenes with you. Don't forget this time of year is when you see spectacular fungi too. 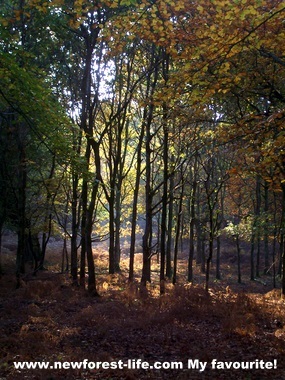 If you go to Bolderwood you will see beautiful autumn shades and light like this on a good day. You can also visit the Deer Sanctuary, get New Forest Forestry Commission info from their wardens at weekends and also have an ice cream and use the toilet. The car park is large but very popular. 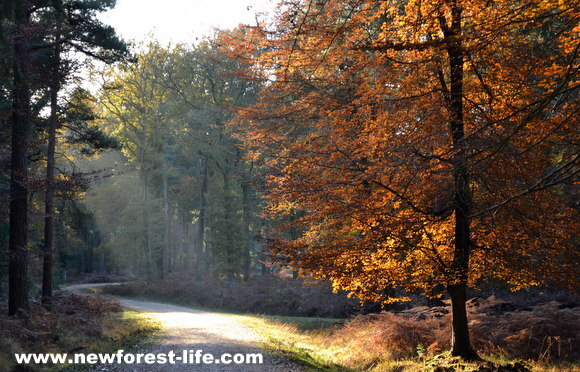 Autumn walks in the New Forest National Park mean that on just one walk you can see spectacular shades, colours and leaf diversity, often just within a few hundred feet, as you can see here. Hard to believe these two pictures were taken within a few minutes of each other? 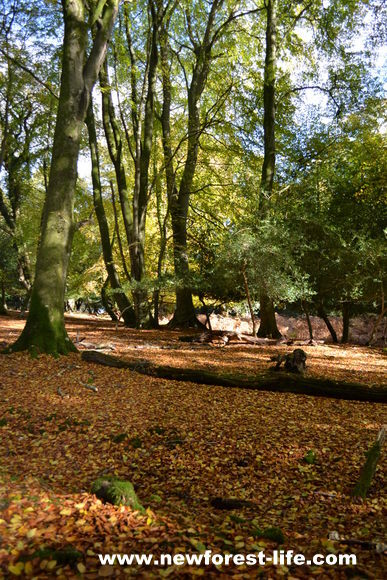 On my walk you can see that the New Forest floor was covered in discarded leaves whilst the trees still retained a lot of green. The light was beautiful on this beautiful day out and the contrasts stunning. 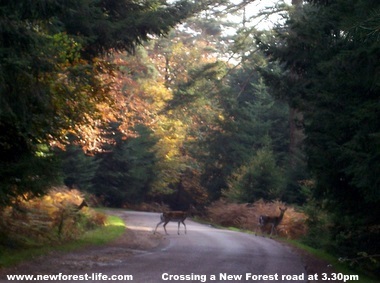 These New Forest deer were crossing the road near Bolderwood just as the sun was getting ready to set and bring different shades to the New Forest. This beautiful New Forest path stretched on forever through the forest - but was very muddy underneath! A tip is to always have your wellies in the car. Tthe New Forest National Park is not trainer terrain - far too muddy and boggy but fun too. One thing you will notice when walking through this stunning landscape is the peace and tranquility. You may see a deer or New Forest pony but rarely any humans and usually perfect peace. Wherever you are the light shines through onto the forest floor. As well as the beauty of the woodland trees you will see an amazing array of stunning fungi living in harmony with the New Forest eco system. 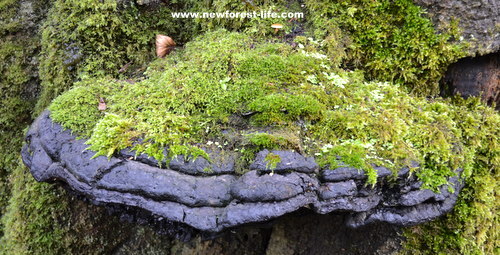 New Forest fungi - a spectacular find. The light coming through onto the forest floor was brilliant on this day. The forest took on a magical feel as I wandered along, from dark to light. I've found being in the forest can be a spiritual trip. It can be easy to experience the beauty and tranquility of the forest. New Forest Autumn a majestic beech. 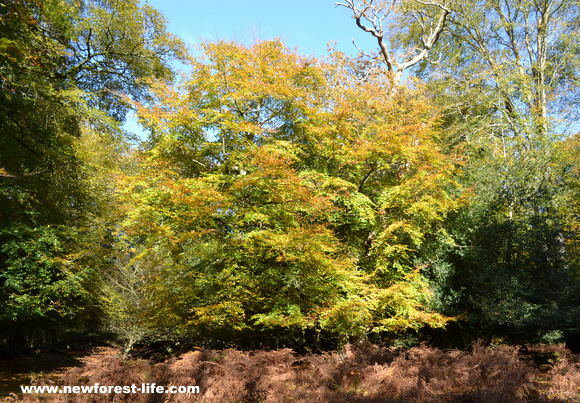 I took this photo recently and you can see the fern have become brown but the leaves are only just starting to turn to yellow on this ancient and majestic beech, before turning their rich brown and dropping onto the forest floor. 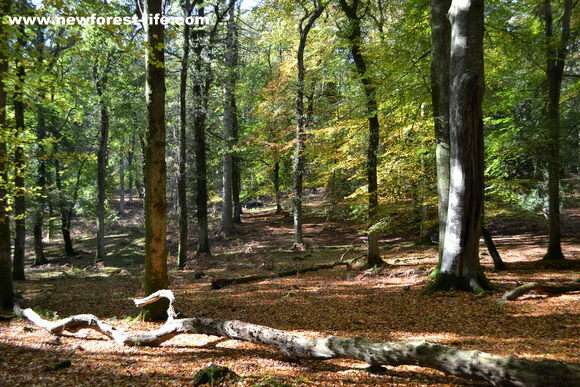 We wandered through the woods seeing the stunning beauty of these ancient trees, discovering fantastic fungi, often nibbled by the animals which inhabit the New Forest National Park. Each time we walk deep into the heart of the ancient woodland we discover yet more majestic trees which have inhabited this forest for often hundreds of years. 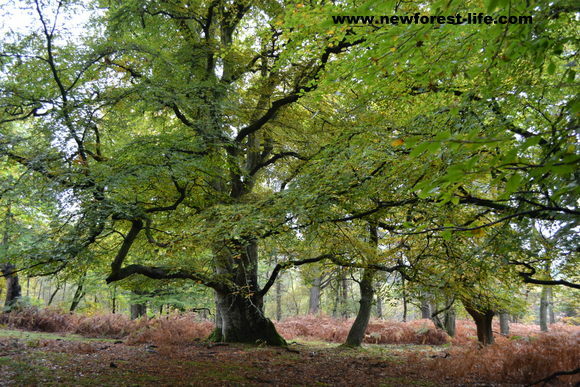 If you're coming to visit the beautiful New Forest you'll need a map!